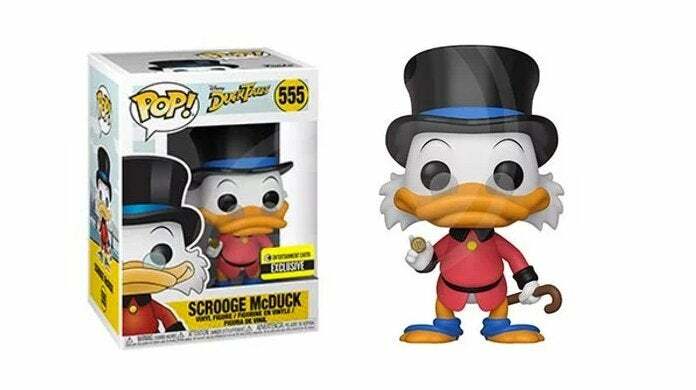 This DuckTales Funko Pop figure features Scrooge McDuck sporting the red coat that he wears in the original Carl Barks comics, the 1989 NES game from Capcom, and the current Disney Channel series starring David Tennant. It comes just in time for Tax Day in the U.S., which is why Scrooge is smiling. That coin he's holding is probably all he paid for the entire year. "Life is like a hurricane in Duckburg, but you can bring home this fabulous Pop! Vinyl figure and create your own DuckTales from the popular cartoon series. This exclusive version has Scrooge McDuck in his red coat, just like in the original comic books, NES game from Capcom, and the current Disney Channel series where he's voiced by David Tennant! Measuring approximately 3 3/4-inches tall, the DuckTales Scrooge McDuck Red Coat Pop! Vinyl Figure #555 - Entertainment Earth Exclusive comes packaged in a window display box." 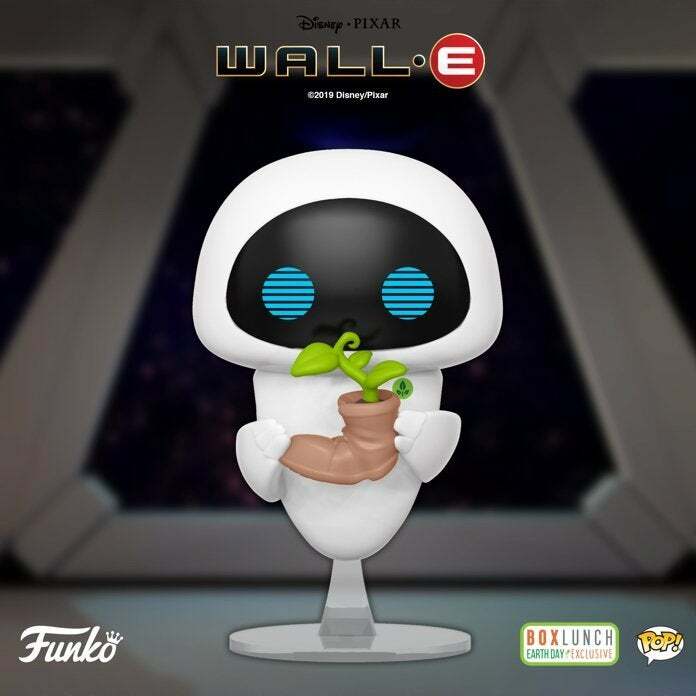 "Celebrate Earth Day with BoxLunch’s collection inspired by Disney Pixar’s WALL·E! This eco-conscious assortment includes everything from apparel to home goods and of course an exclusive Funko Pop! Disney Pixar WALL·E EVE Vinyl Figure. This Pop! brings to life one of the best moments between WALL·E and EVE, when WALL·E hands EVE the boot plant. In addition this Pop! and its packaging are made with recycled materials."